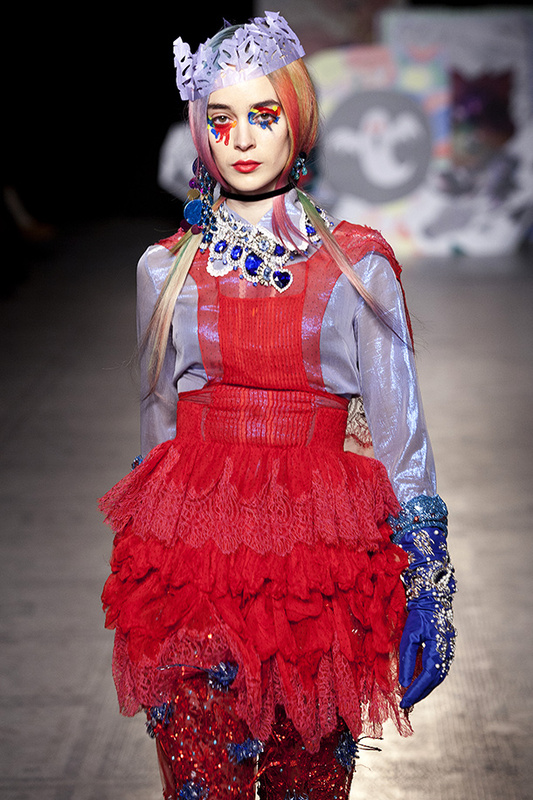 Fashion in Motion is a series of live fashion events presented against the unique backdrop of the Victoria and Albert Museum. 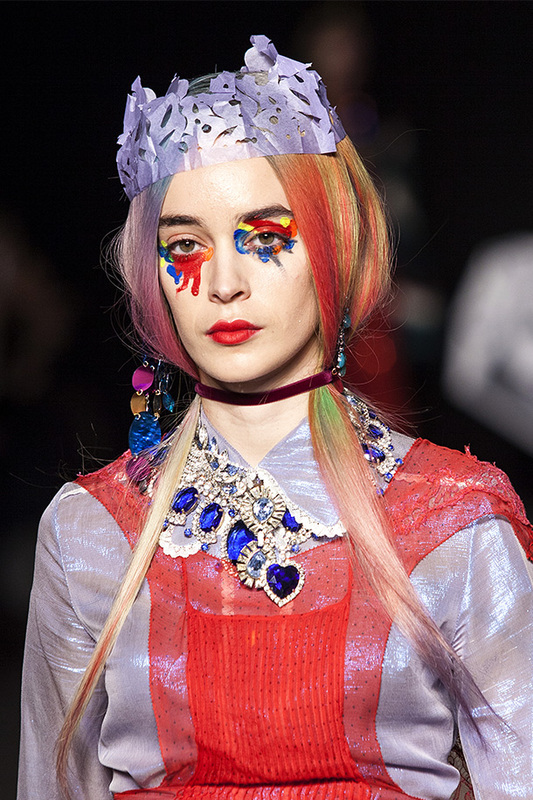 Featuring some of the greatest designers of our time, Fashion in Motion brings the excitement and spectacle of the high fashion catwalk to a wide audience. 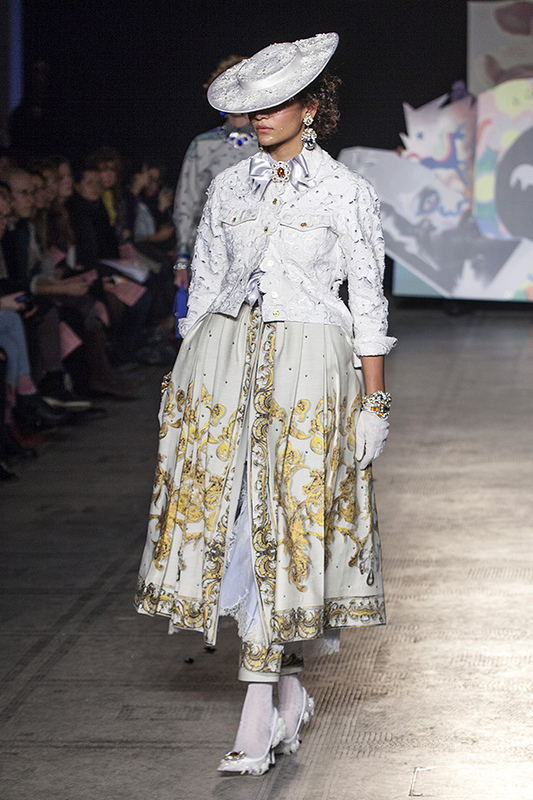 Celebrated design duo Meadham Kirchhoff were the subject of the V&A’s Fashion in Motion, presenting highlights of the label’s womenswear collections to date. 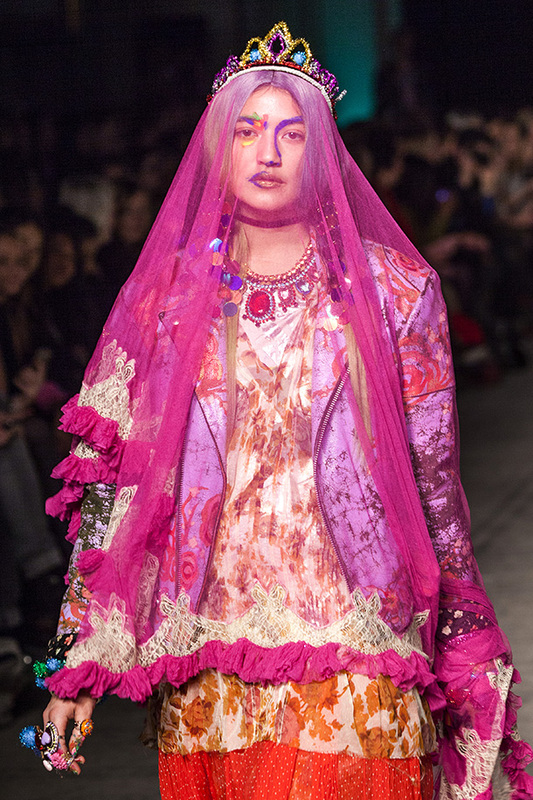 The Anglo-French duo Edward Meadham and Benjamin Kirchhoff met at Central Saint Martins, where Meadham studied womenswear and Kirchhoff menswear. 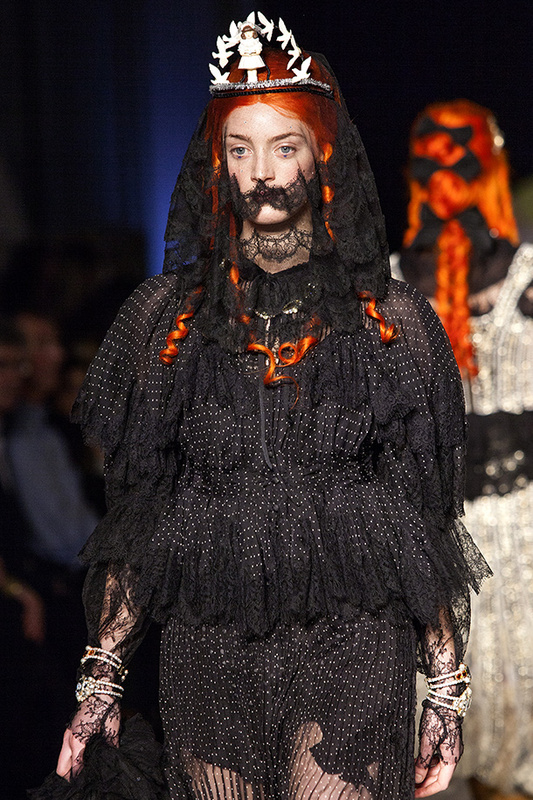 The pair formed the London based Meadham Kirchhoff label in 2002 and went on to win the ‘Emerging Talent – Ready-to-Wear’ award at the British Fashion Awards in 2010. 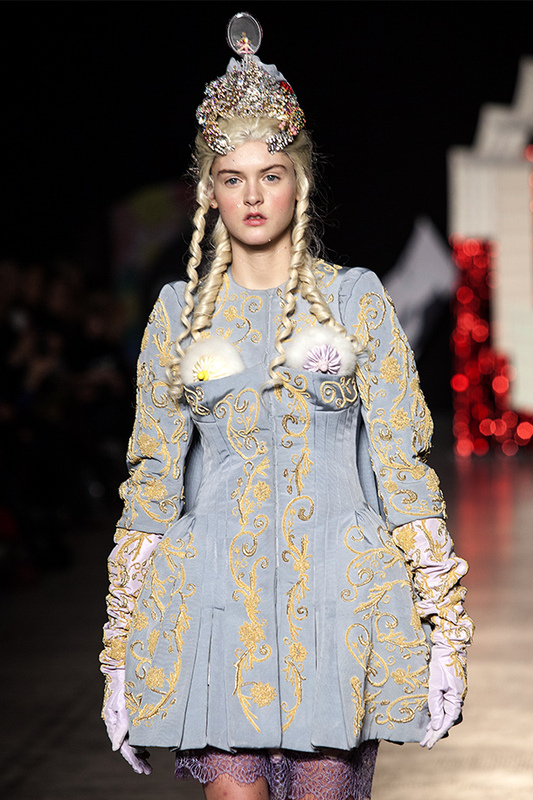 Known for presenting beautiful, theatrical collections against intricately staged and often surreal settings, Meadham Kirchhoff has since garnered widespread critical acclaim. 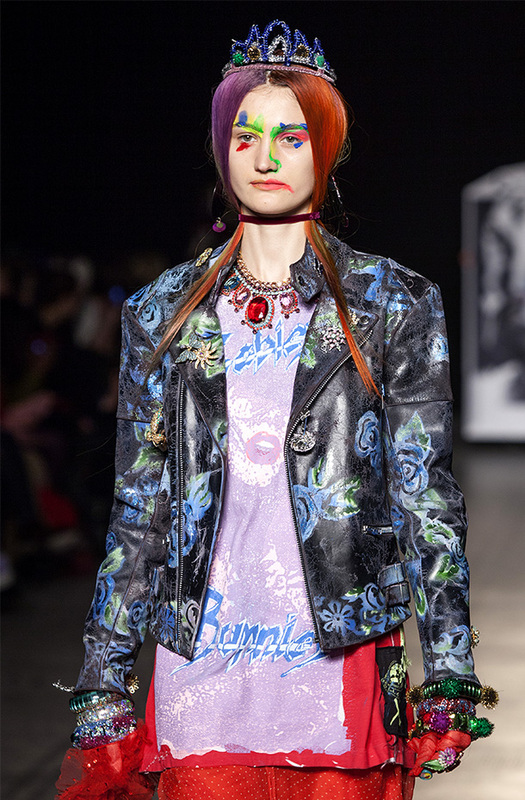 The designers, who cite influences as varied as Courtney Love, Chanel, The Riot Grrrls and traditional portraiture amongst their inspirations, will select personal highlights for the V&A catwalk shows. 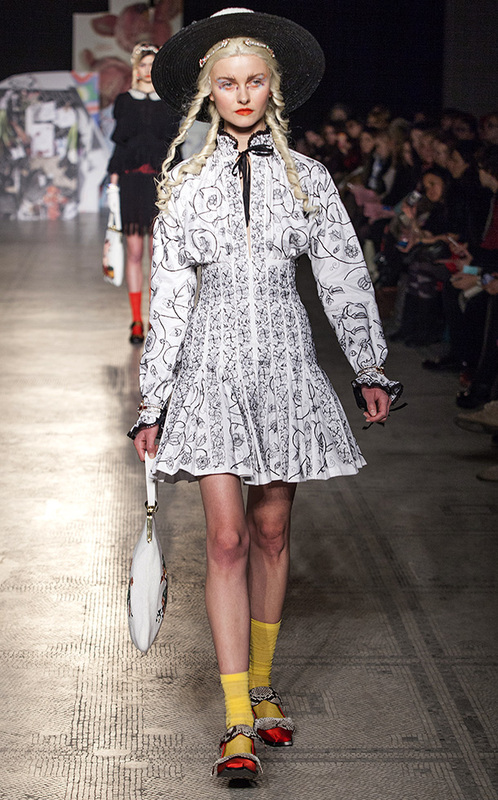 Included will be garments from the collections Suddenly, Last Summer (S/S 2011) and A Rebours (A/W 2010), which featured flowing gothic dresses overlaid with floral painted biker jackets and veils in colourful hues. 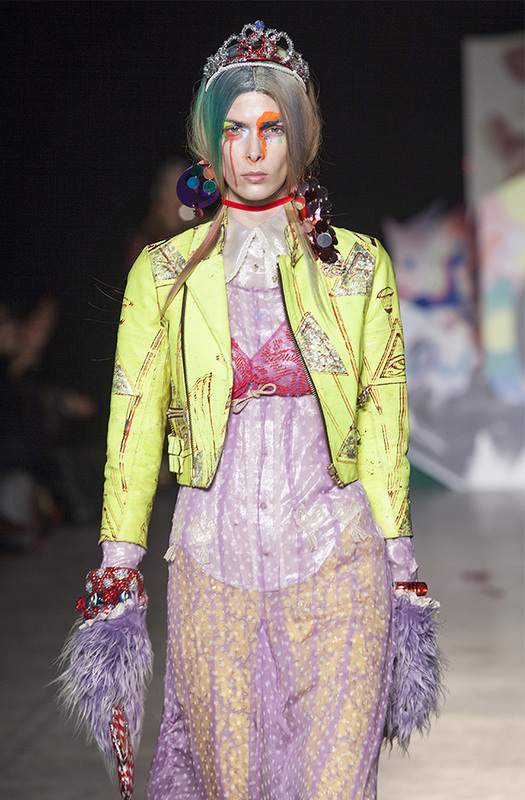 Edward Meadham and Benjamin Kirchhoff said; ‘We are very pleased to be involved with the V&A’s Fashion in Motion series. 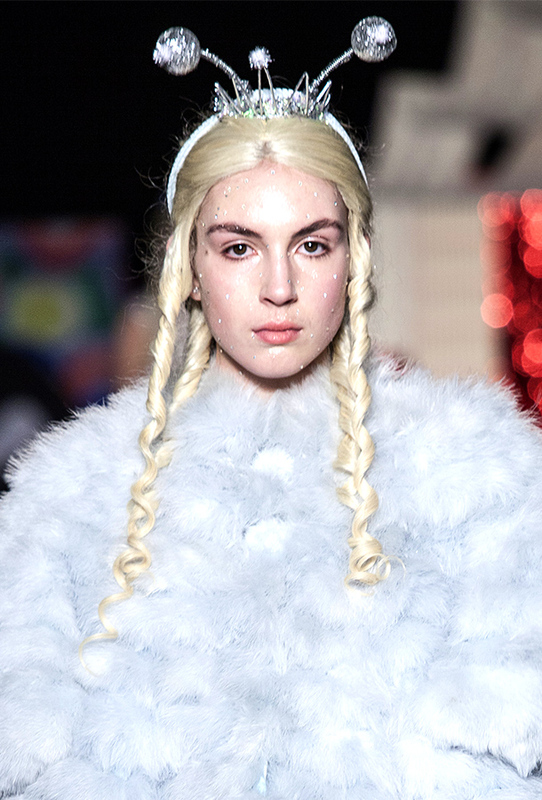 When approaching every collection or garment we secretly hope to make something worthy of being seen in a museum, so for us it is an honour to present a show comprised of hand-picked pieces from our favourite collections. La Touche: It felt like i was reading a fairytale book, like one of those books you read when you were younger and it kind of pops up. 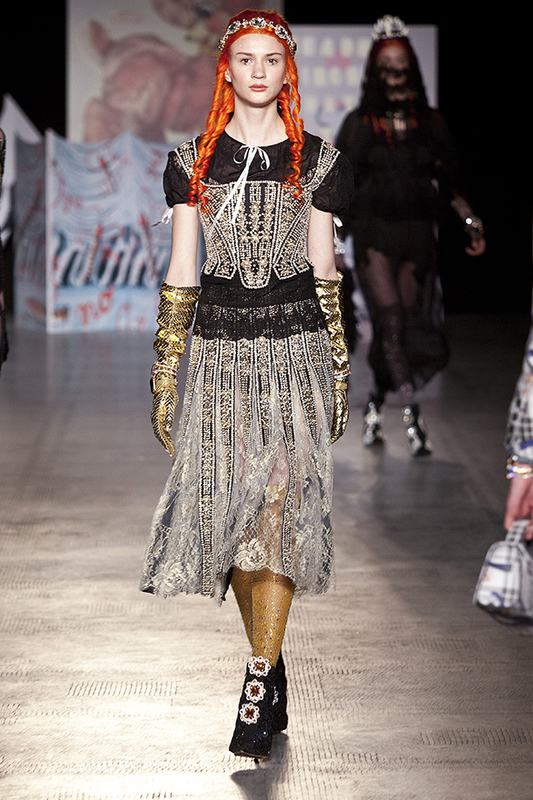 Edward Meadham: I think its a matter of symbiosis. 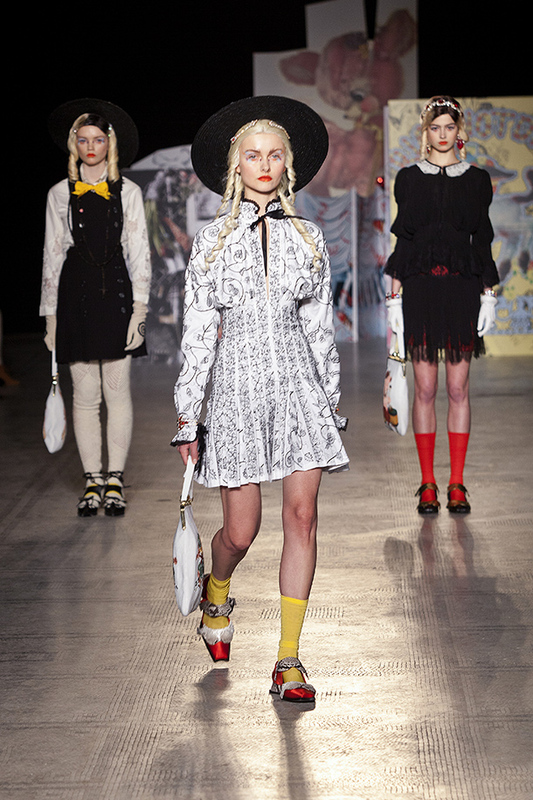 Edward Meadham: We haven’t just made a collection, its bits from our last ten years. 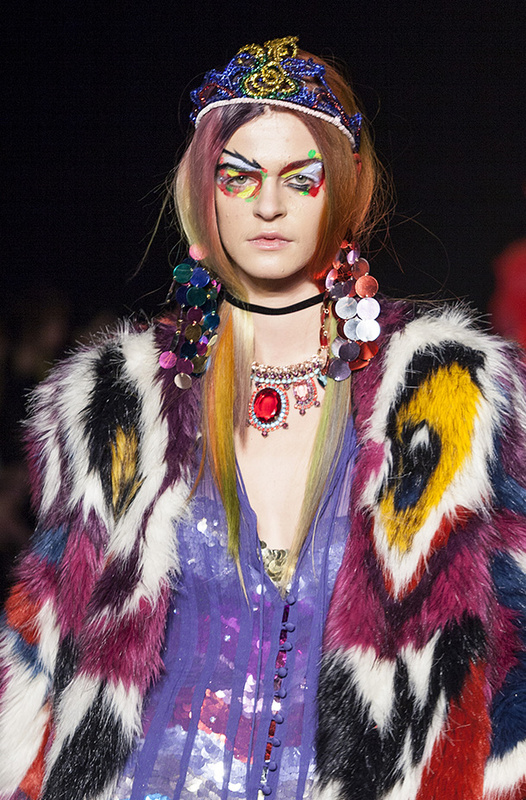 Benjamin Kircchoff: Thats the way we approached it. 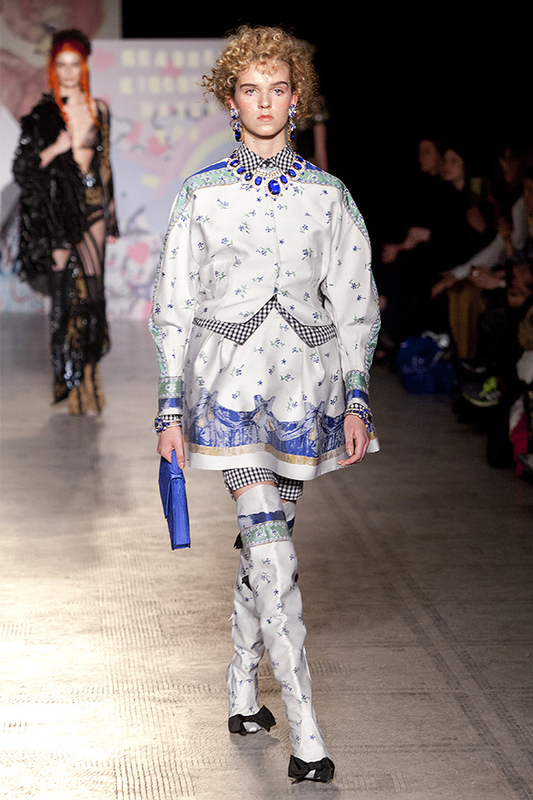 Benjamin Kircchoff: Its our entire lives that we are putting down on the runway. 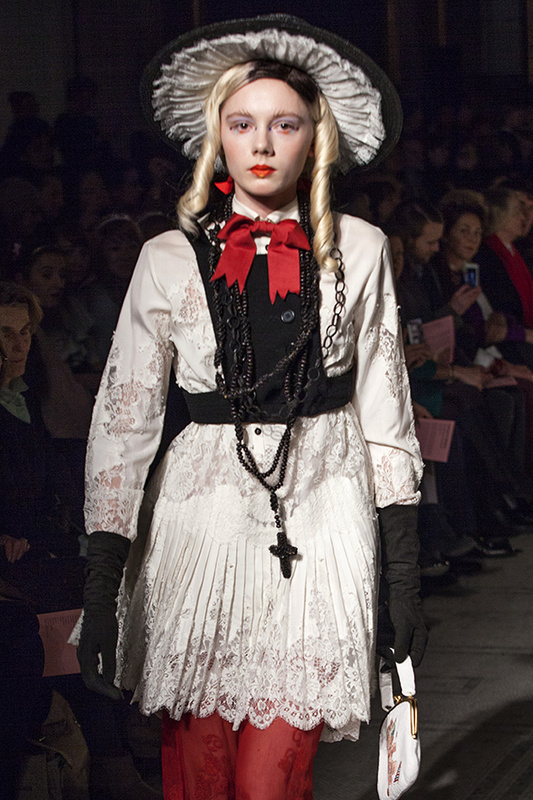 Edward Meadham: They go all over the place Courtney (Love) is a massive constant, constant, constant. 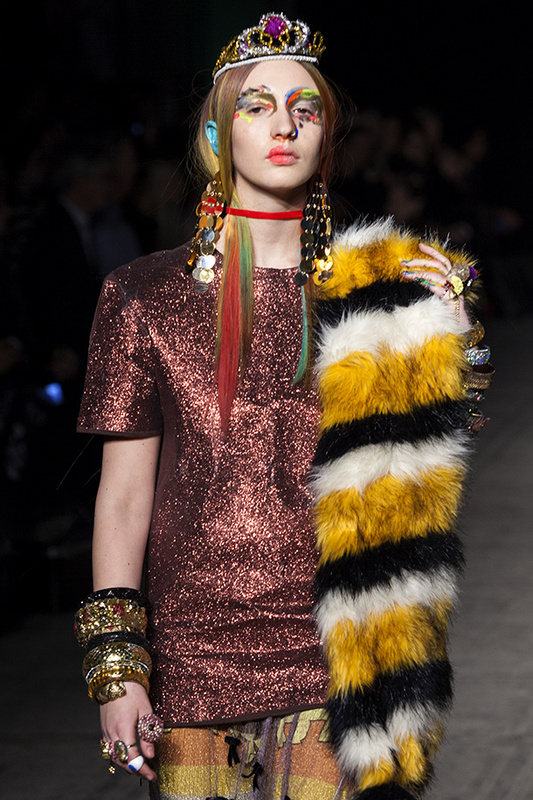 Portraiture, pop culture, trash culture, diamonds, couture… it goes everywhere, Christmas decorations - it can be any. 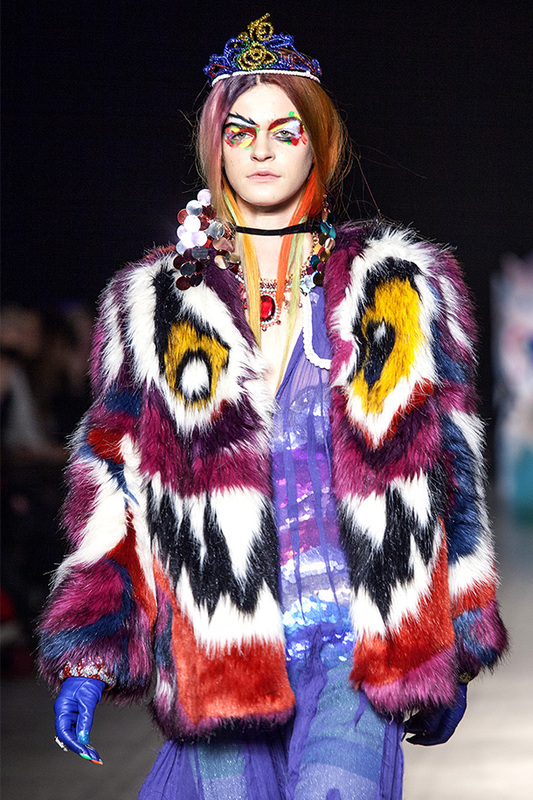 Fred Butler: It is a one-off because most designers at the moment are doing really safe, serious, easy and this is challenging. 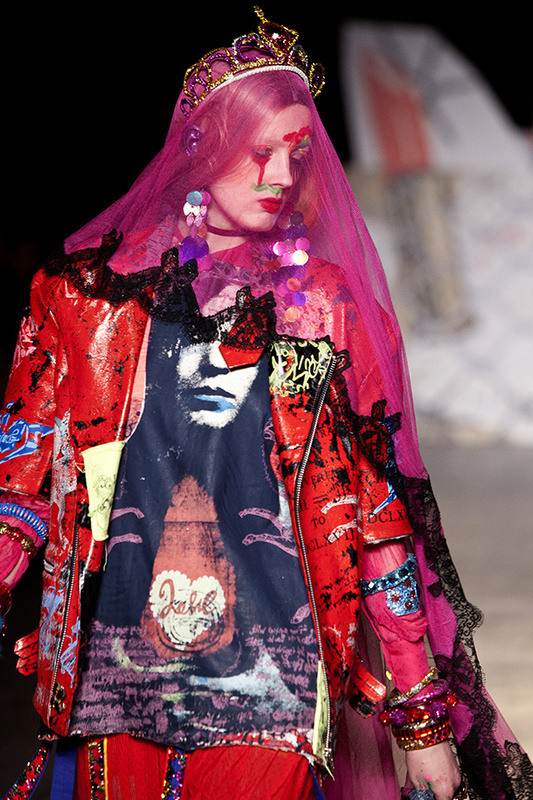 Edward Meadham: I hope that people will emote somehow or we can get them to feel something. Sometimes i wanted them to feel as depressed as i was feeling or as angry. Sometimes i wanted them to feel the sort of this kind of warm internal glow. Sometimes i have wanted them to cry… it really depends. 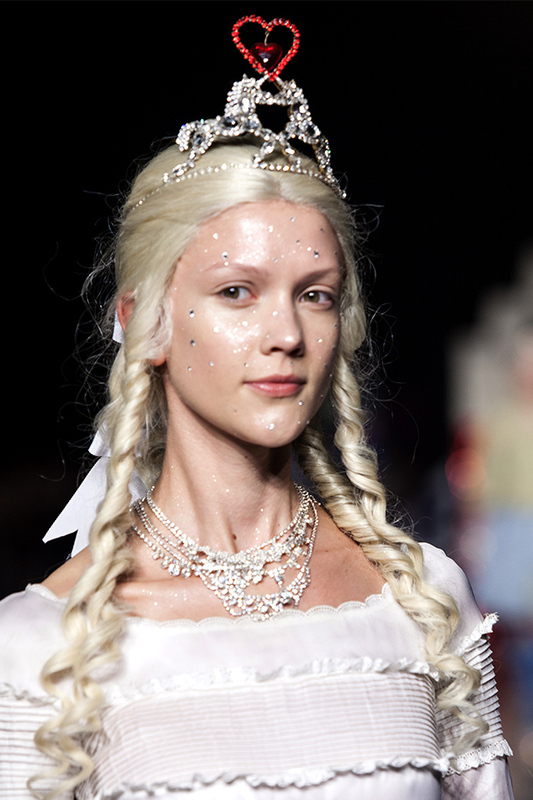 I want it to feel really magical. Benjamin Kircchoff: I think you know we have been doing this since 2002 and we have had ups and downs in like the process of it. We have learned not to sort of ever put our hopes up and to put our heads down and to work and do it. 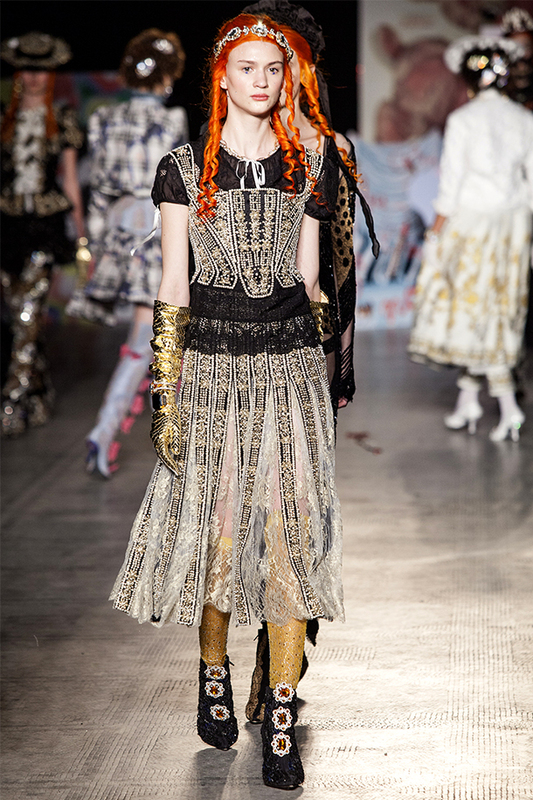 Edward Meadham: There is certainly no plan of… what direction things will turn at any specific point… its entirely organic.